1. 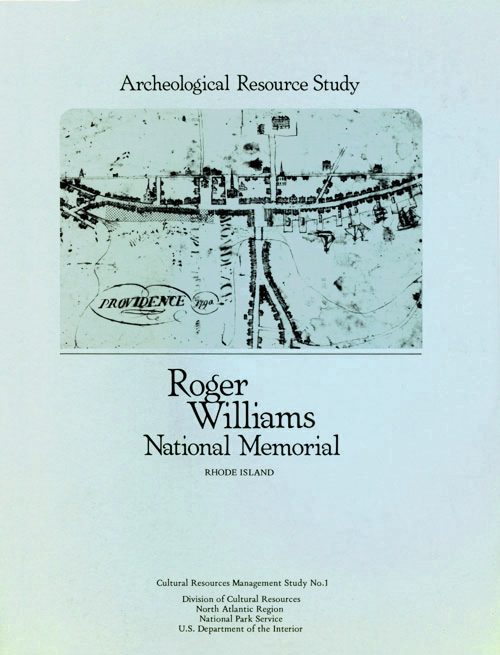 Archeological Resource Study, Roger Williams National Monument. Public Archaeology Laboratory, Brown University, 1979. 2. 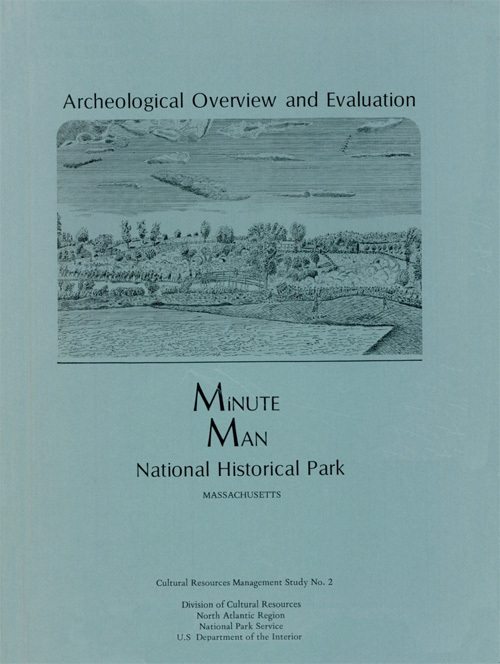 Archeological Overview and Evaluation at Minute Man National Historical Park. Vernon G. Baker, 1980. 3. 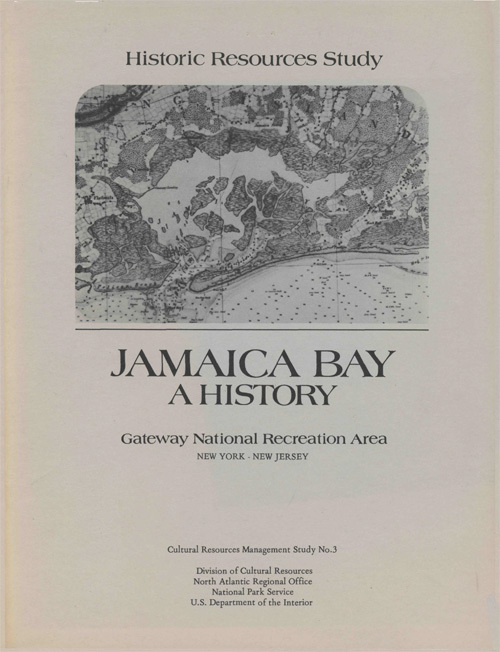 Historic Resources Study, Jamaica Bay: A History. Gateway National Recreation Area, New York-New Jersey. 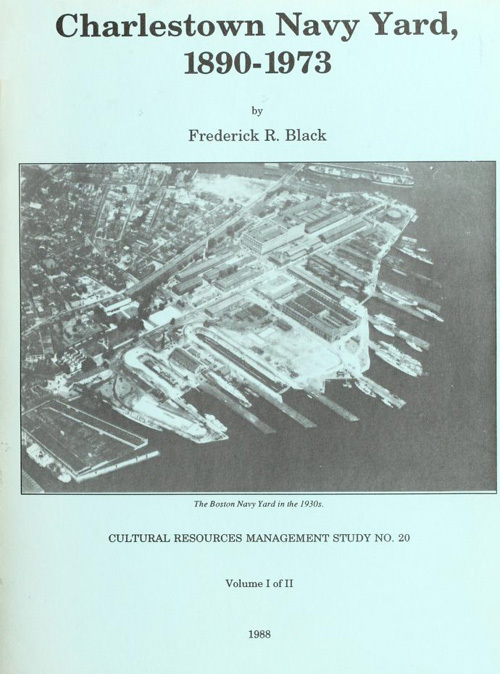 Frederick R. Black, 1981. 4. 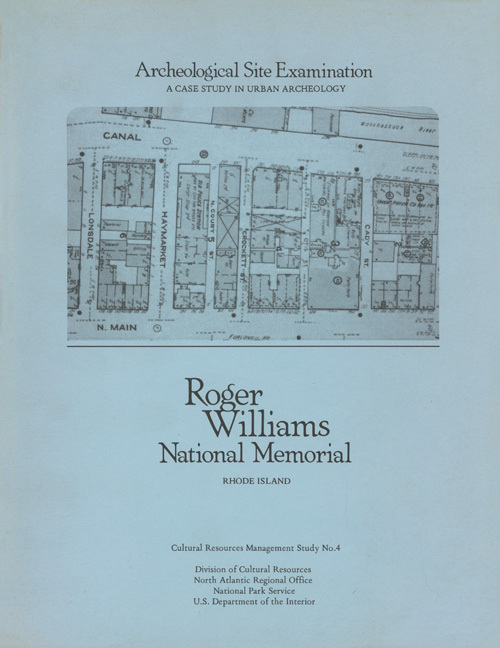 Archeological Site Examination: A Case Study in Urban Archeology. Roger Williams National Monument. Patricia E. Rubertone and Joan Gallagher, 1981. 5. 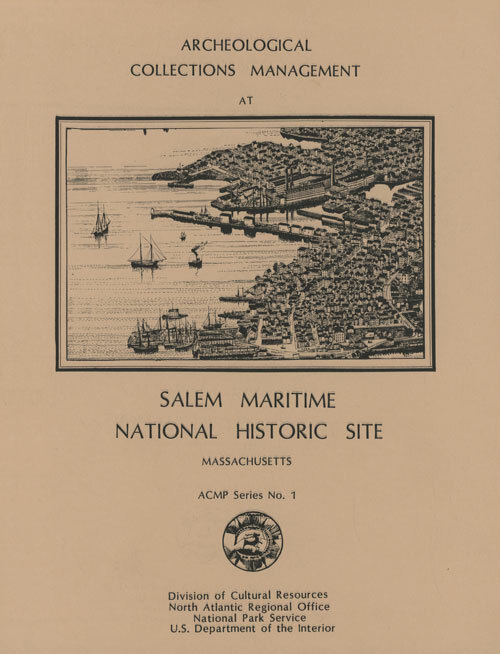 Archeological Resource Study, Historical Archeology at Bunker Hill Monument. Boston National Historical Park. Thomas Mahlstedt, 1981. 6. Archeological Investigation at the Narbonne House. 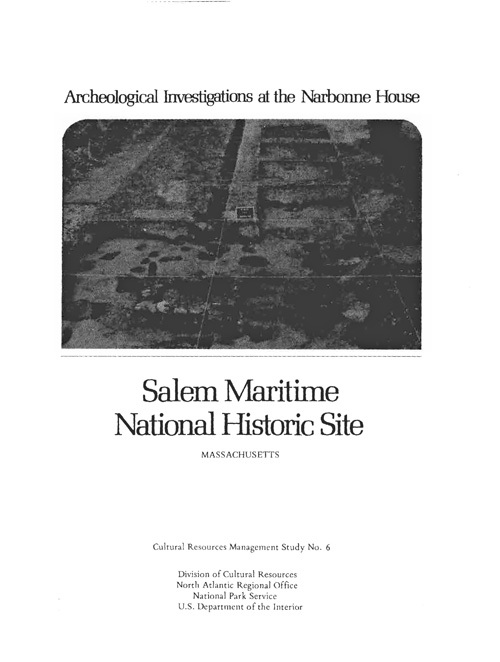 Salem Maritime National Historic Site. Geoffrey P. Moran, Edward F. Zimmer, Anne E. Yentsch, 1982. 7. 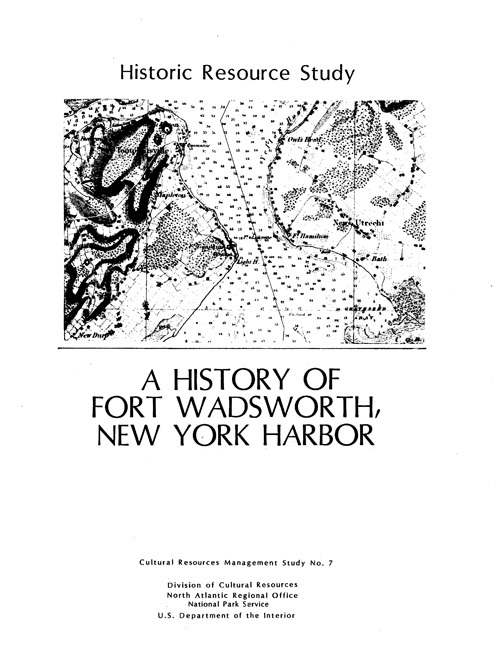 Historic Resource Study, A History of Fort Wadsworth, New York Harbor. Frederick R. Black, 1983. 8. 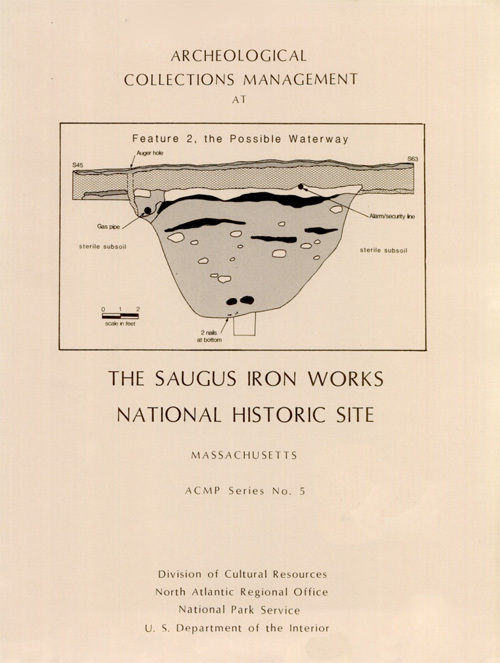 Chapters in the Archeology of Cape Cod, I. 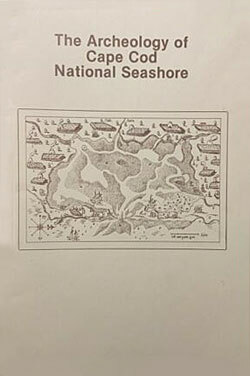 Results of the Cape Cod National Seashore Archeological Survey, 1979-1981 Vol. 1. Francis P. McManamon, editor, 1984. 8. 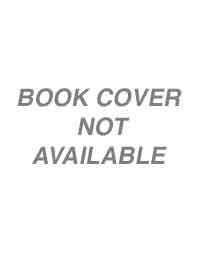 Chapters in the Archeology of Cape Cod, I. 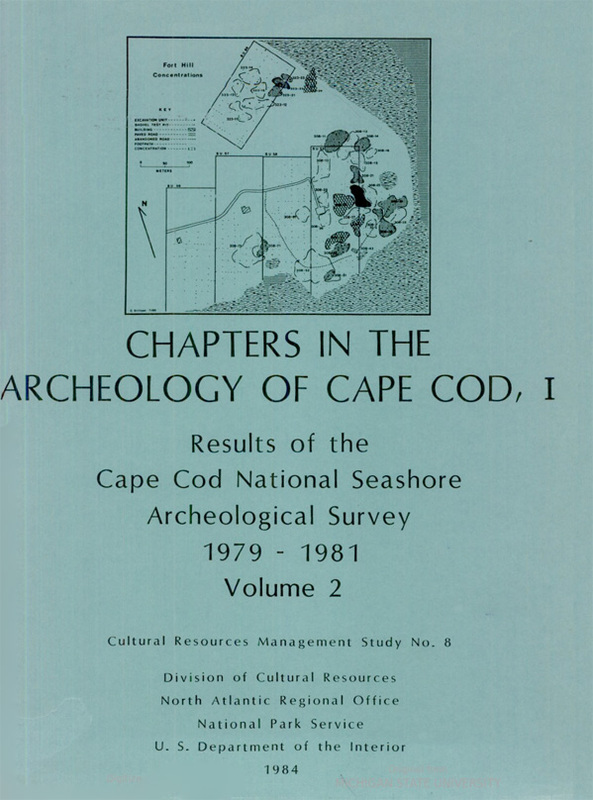 Results of the Cape Cod National Seashore Archeological Survey, 1979-1981 Vol. 2. Francis P. McManamon, editor, 1984. 9. 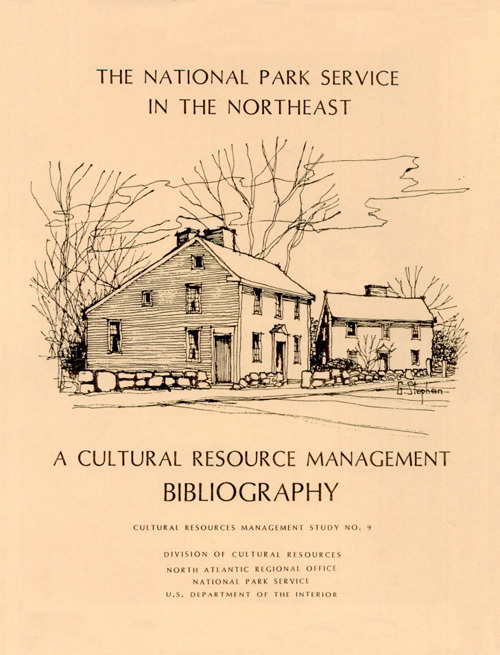 The National Park Service in the Northeast: A Cultural Resource Management Bibliography. Dwight T. Pitcaithley, 1984. 10. 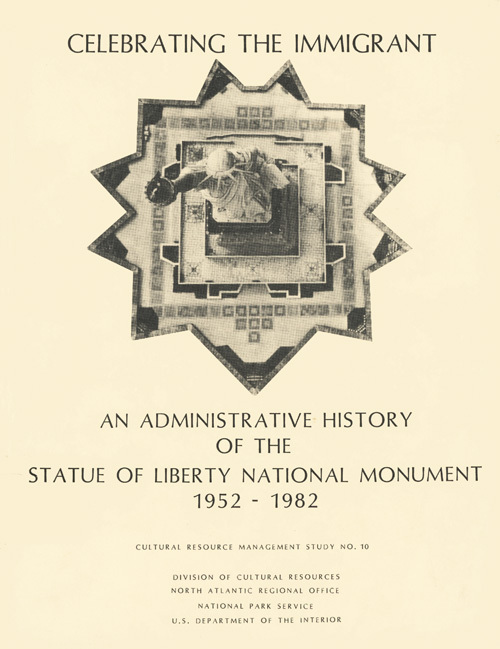 Celebrating the Immigrant: An Administrative History of the Statue of Liberty National Monument, 1952-1982. Barbara Blumberg, 1985. 11. 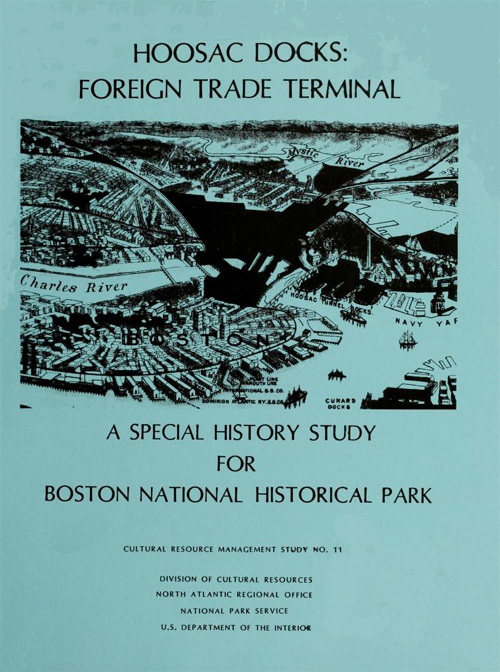 Hoosac Docks: Foreign Trade Terminal. A Case of the Expanding Transportation System Late in the Nineteenth Century. Paul O. Weinbaum, 1985. 12. 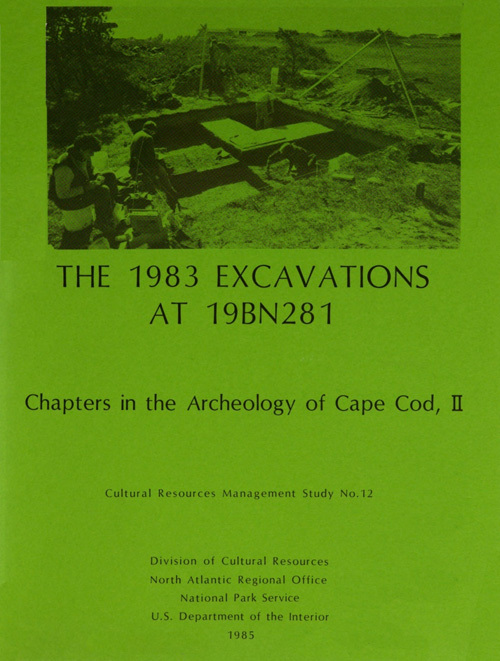 The 1983 Excavations at 19BN281: Chapters in the Archeology of Cape Cod, II. Christopher L. Borstel, 1985. 13. 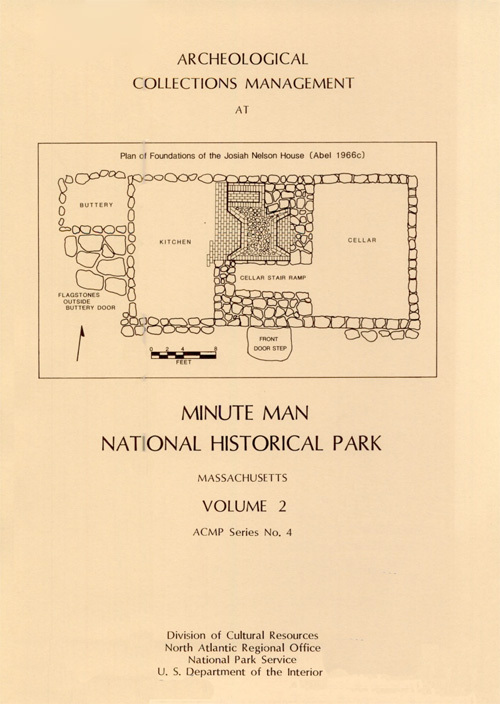 Chapters in the Archeology of Cape Cod, III: The Historic Period and Historic Period Archeology. Francis P. McManamon, editor, 1985. 14. 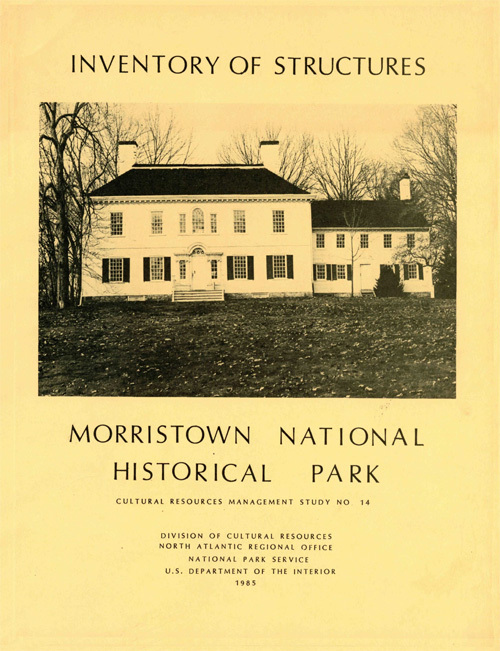 Inventory of Structures: Morristown National Historical Park. David Arbogast, 1985. 15. 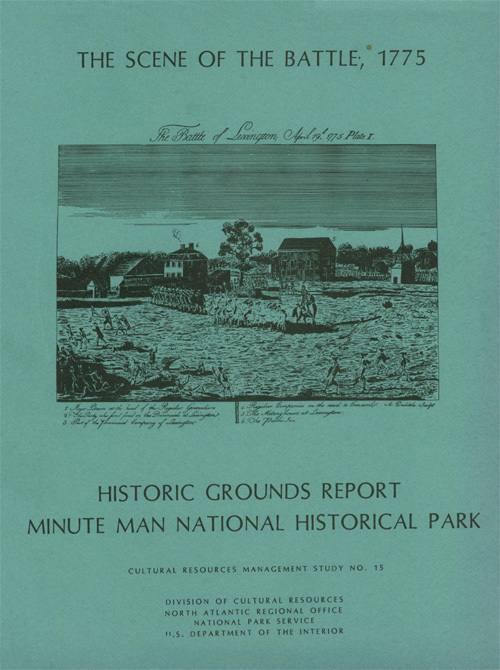 The scene of the battle, 1775 : historic grounds report : Minute Man National Historical Park. Joyce Lee Malcolm, 1985. 16. 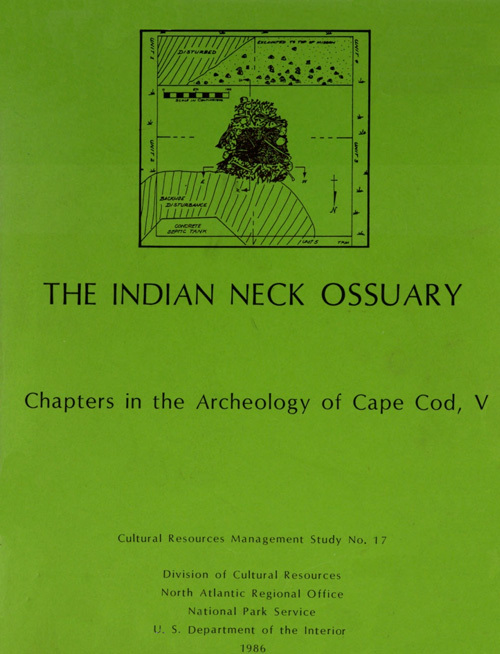 Chapters in the archeology of Cape Cod, IV. 17. 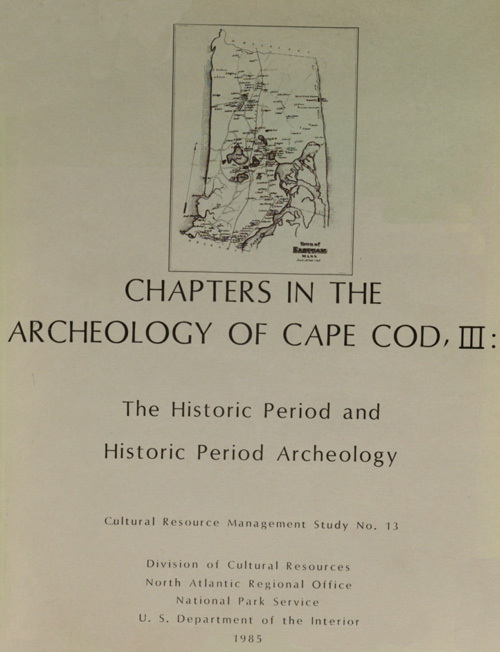 Chapters in the archeology of Cape Cod. V, The Indian Neck Ossuary. Francis P. McManamon, James W. Bradley and Ann L. Magennis, 1986. 18. 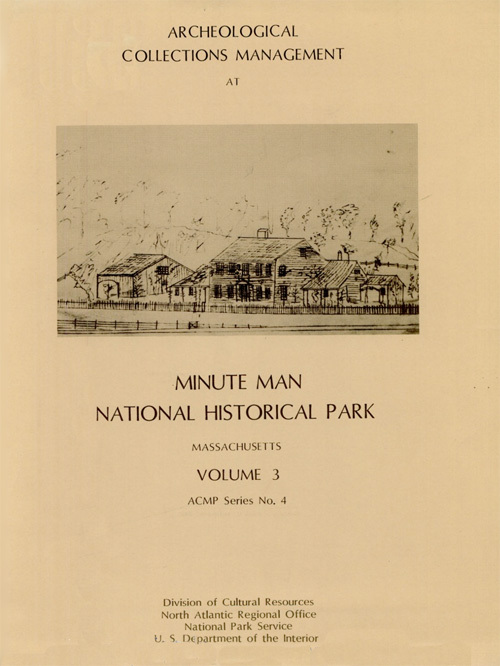 Interdisciplinary investigations of the Boott Mills, Lowell, Massachusetts. 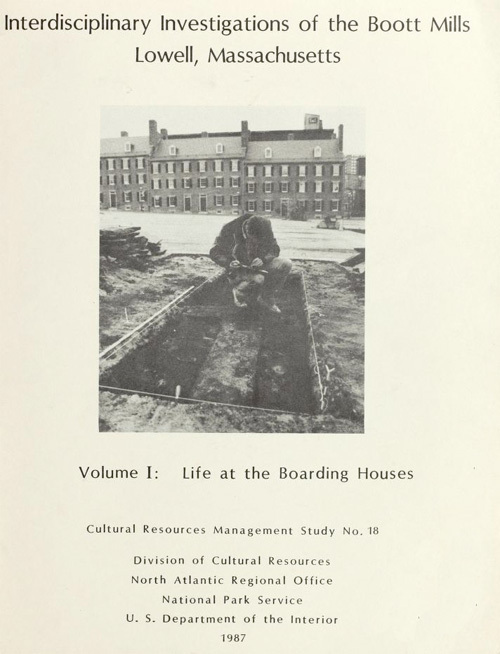 Volume I, Life at the boarding houses : a preliminary report. Mary Carolyn Beaudry and Stephen A Mrozowski, 1987. 19. 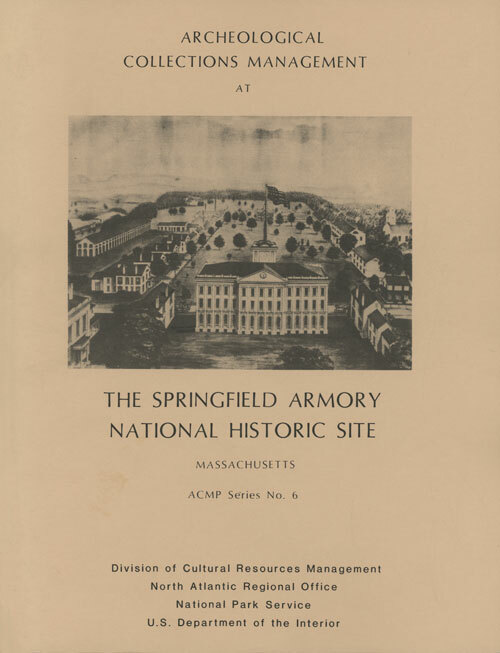 Interdisciplinary investigations of the Boott Mills, Lowell, Massachusetts. 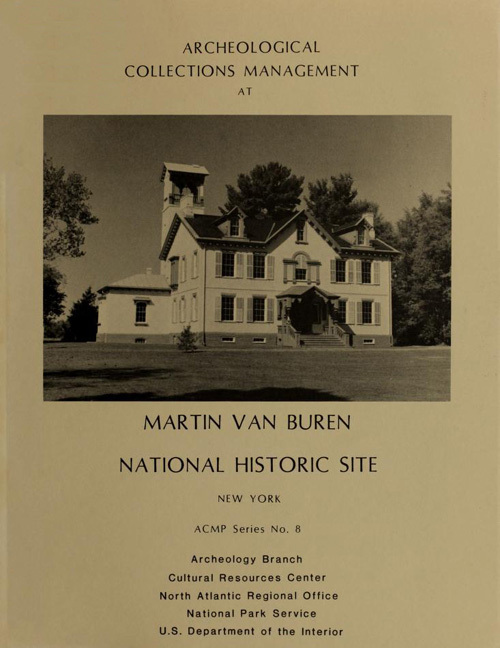 Volume II, The Kirk Street agents' house. Mary Carolyn Beaudry and Stephen A Mrozowski, 1987. 20. Charlestown Navy Yard, 1890-1973. Frederick R. Black, 1988. 21. 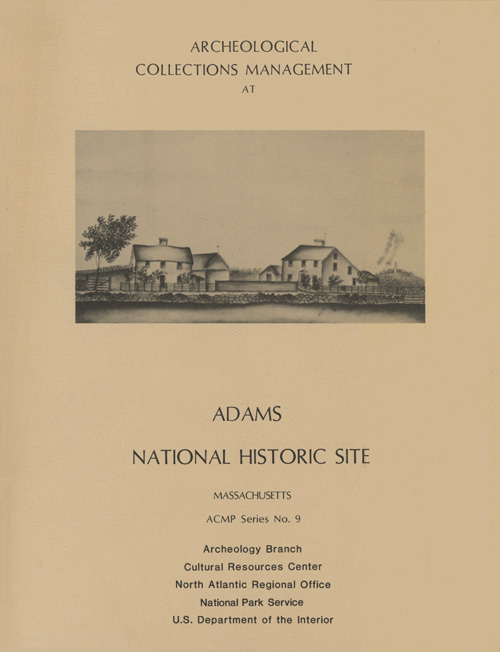 Interdisciplinary investigations of the Boott Mills, Lowell, Massachusetts. 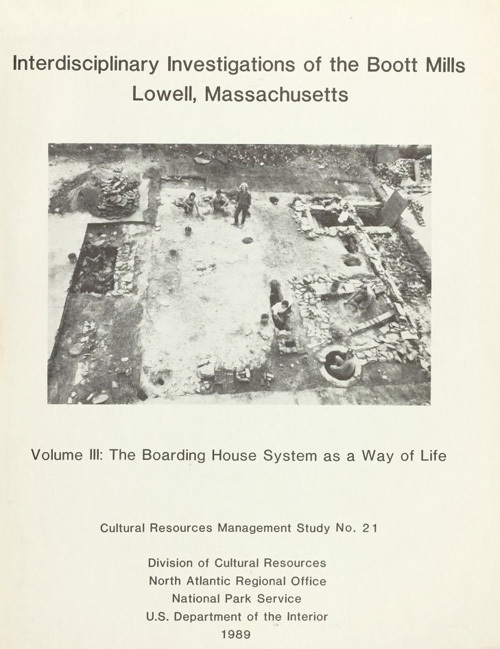 Volume III, The boarding house system as a way of life. Mary Carolyn Beaudry and Stephen A Mrozowski, 1989. 22. 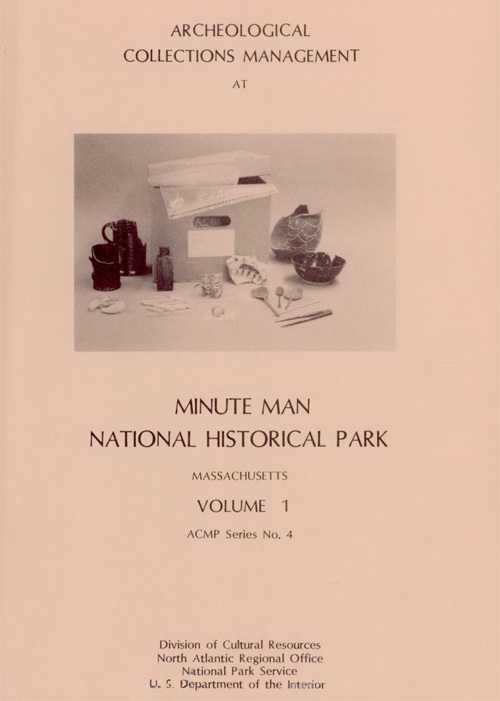 Archeological Investigations of Minute Man National Historical Park, Volume I : Farmers and Artisans of the Historical Period. Alan T. Synenki, ed. 1990. 23. 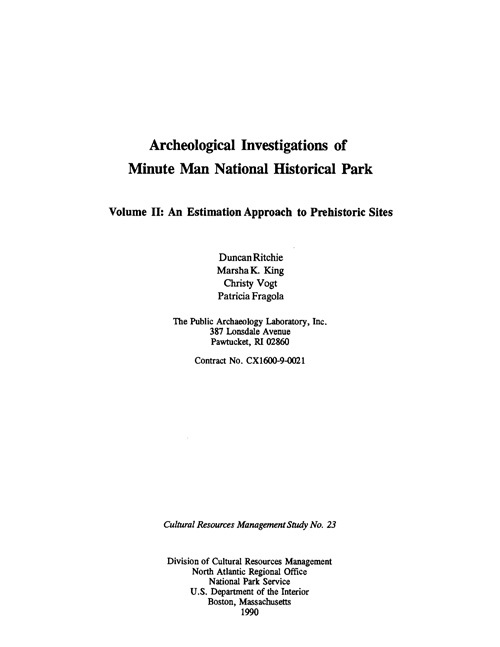 Archeological Investigations of Minute Man National Historical Park, Volume II : An Estimation Approach to Prehistoric Sites. Duncan Ritchie, Marsha K. King, Christy Vogt and Patricia Fragola, 1990. 24. 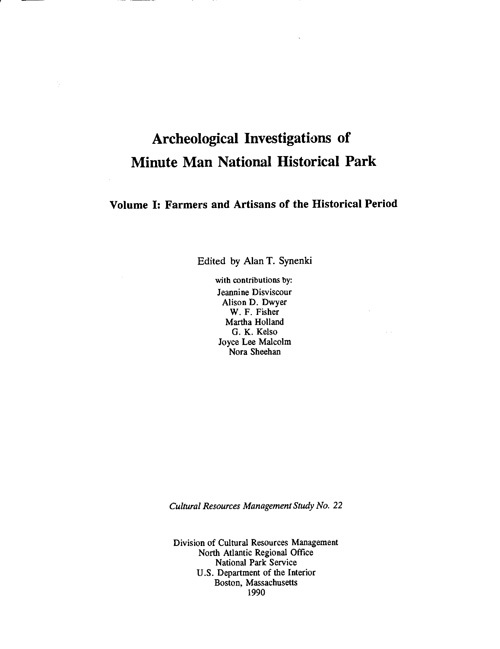 Archeological investigations of Minute Man National Historical Park. Alan T. Synenki, 1990. 1. 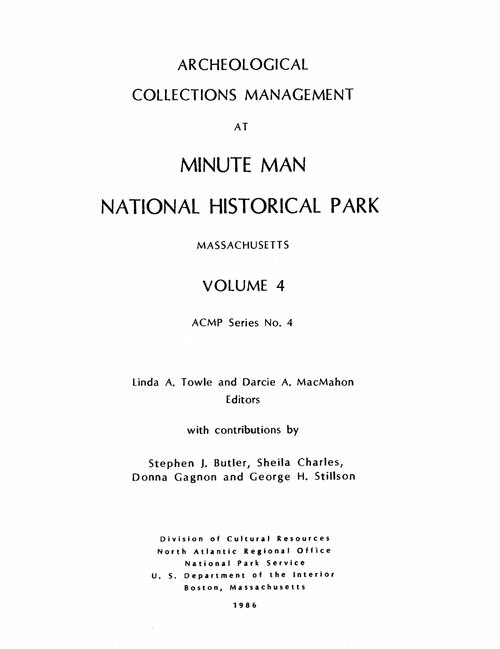 Archeological Collections Management at Salem Maritime National Historic Site Alan T. Synenki and Sheila Charles, 1983. 2. 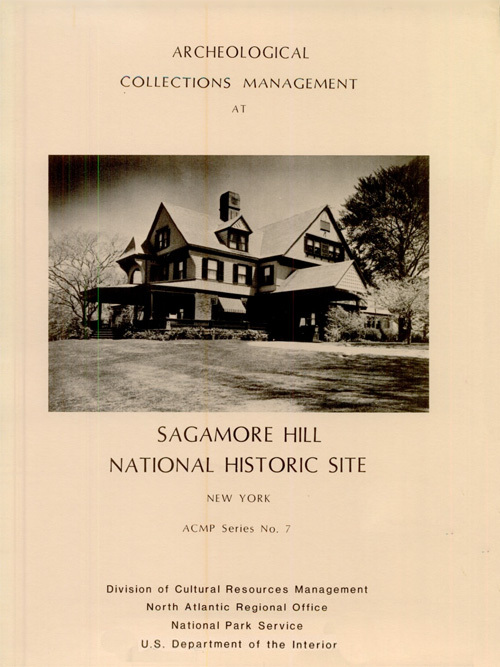 Archeological Collections Management at Morristown National Historical Park, New Jersey Alan T. Synenki and Sheila Charles, 1983. 3. 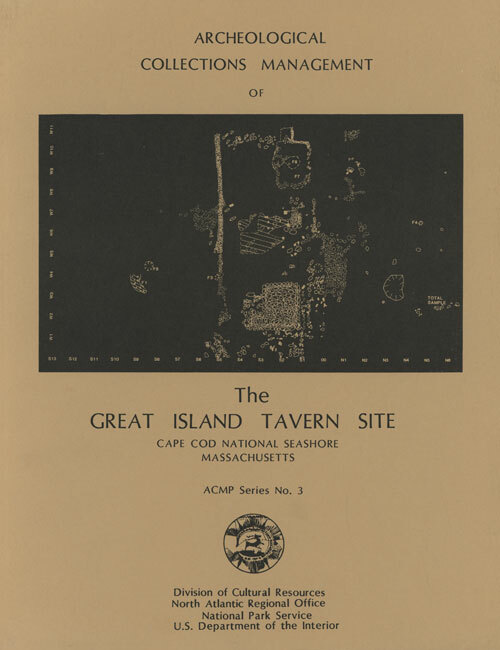 Archeological Collections Management of the Great Island Tavern Site. Cape Cod National Seashore, Massachusetts Alan Synenki and Sheila Charles, 1984. 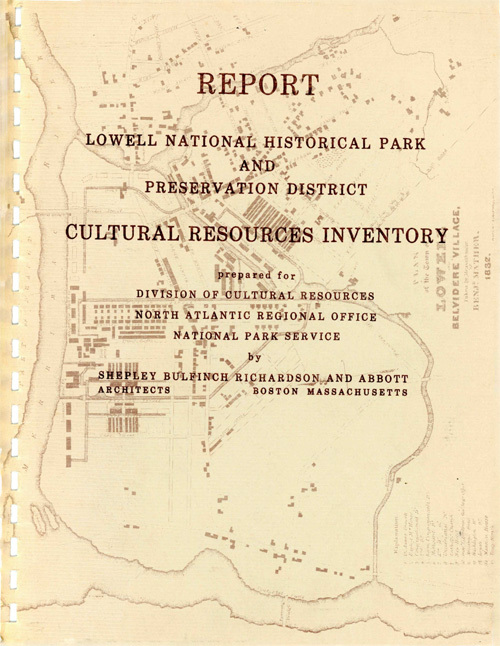 Report: Cultural Resources Inventory, Lowell National Historical Park and Preservation District Shepley, Bulfinch, Richardson and Abbott, Architects, 1980. 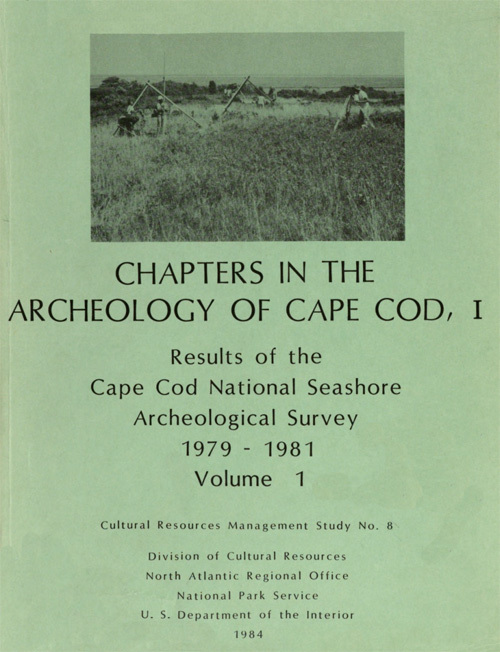 The Archeology of Cape Cod National Seashore Francis P. McManamon and Christopher L. Borstel, 1982.